A pre-race sample was taken from Kylo Ren. Lil' Miss Willow and News Print were slow to begin. Fish Armo and Harvey Warbanger collided soon after the start. News Print and Manners A Miss collided soon after the start. Harvey Warbanger and Hurricane Craig collided on the first turn checking Harvey Warbanger. Harvey Warbanger and Lil' Miss Willow collided approaching the home turn checking Harvey Warbanger. Lil' Miss Willow and Manners A Miss collided on the home turn. Mrs R. Busuttil, the representative of Goldie's Nugget declared a new weight of 34.9kgs for the greyhound in accordance with GAR 39(2). Goldie's Nugget last raced at 36.00kgs. A pre-race sample was taken from Coffee King. Belron Bliss and Coffee King collided approaching the first turn. Greg's Prince checked off Goldie's Nugget approaching the first turn and again on the first turn checking Belron Bliss. Greg's Prince and Coffee King raced wide on the home turn. Queen Of Gems and Qatar Girl collided on the home turn. Greg's Prince raced wide in the home straight. A pre-race sample was taken from Wanjiro. Wanjiro, Bye Bye Brad, Banjo's Affair and Beanology were slow to begin. Royal Order and Beanology collided on the first turn checking Beanology, Banjo's Affair, Bye Bye Brad and severely checking Royal Order which stumbled. Royal order was vetted following the event. It was reported that the greyhound sustained a left back muscle injury, a 28 day stand down period was imposed. A pre-race sample was taken from Tyche Onyx. Shooters Ali was slow to begin. Bags Of Bucks and Tyche Onyx collided approaching the first turn checking Bags Of Bucks. Blazing Obsidian and Bags Of Bucks collided approaching the first turn. Bags Of Bucks and Pool Man collided on the first turn checking I'll Swap Ya. Shooters Ali raced wide in the home straight. Pacific Action was a late scratching at 7.53am due to illness (GAR 23). A 10 day stand down period was imposed. Stewards will require a veterinary certificate before any future nomination will be accepted. Zipping Spud was slow to begin. Drama Club and Rapanui Surprise collided soon after the start. Rapanui Surprise, Zipping Spud and Drama Club collided approaching the first turn. Drama Club and North Paw collided approaching the first turn. Drama Club and Zipping Spud collided approaching the first turn and again on the first turn checking Drama Club. Woody's My Name was a late scratching at 8.12am due to an injury (GAR 23). A 10 day stand down period was imposed. Stewards will require a veterinary certificate before any future nomination will be accepted. A pre-race sample was taken from Mavro Mike. Jen's Magic, Mavro Mike and Terrah Fire were slow to begin. No Sugar crossed in approaching the first turn checking Terrah Lecki. Mavro Mike and No Sugar raced wide on the first turn. Mevro Mike raced wide in the home straight. Rainbow Parade was a late scratching at 11:23am due to weight variation (GAR 39). A 10 day stand down period was imposed. Trainer Mr G. Campbell was fined the sum of $100. A pre-race sample was taken from Aston Tobin. Big Butterbean, Aston Tobin and Blueflash Lenny were slow to begin. Speedway Doll and Maniac Matilda collided approaching the first turn checking Maniac Matilda. Speedway Doll checked off Irish Swagger on the first turn checking Promiscuous. Promiscuous and Maniac Matilda collided on the first turn checking Maniac Matilda. Blueflash Lenny and Speedway Doll collided approaching the home turn and again on the home turn checking Blueflash Lenny. Blueflash Lenny was vetted following the event. It was reported that the greyhound sustained a left elbow and shoulder injuries, a 5 day stand down period was imposed. Stewards issued a warning to Mr D. Despard, the trainer of Blueflash Lenny regarding the greyhound’s racing manners on the home turn. A pre-race sample was taken from Festivus. In A Jam, Mercy Percy and Ruby's Boy were slow to begin. Mercy Percy and Ruby's Boy collided approaching the first turn. In A Jam and Mercy Percy collided on the first turn severely checking In A Jam. Mercy Percy and Festivus collided on the first turn and again approaching the home turn. Got Some Zip checked off Hurricane Billie approaching the home turn checking Speedway Chick. In A Jam raced wide in the home straight. In A Jam was vetted following the event. It was reported that there was no apparent injury found. Stewards spoke to Mr K. Kubik, the trainer of the greyhound In A Jam, Mr Kubik declined a re-vet. Stewards deemed the performance of In A Jam unsatisfactory in this event and acting in accordance with GAR 71, Stewards directed that In A Jam must perform a Satisfactory Trial (all tracks) before any future nomination will be accepted. Got Some Zip was vetted following the event. It was reported that there was no apparent injury found. It's A Date was a late scratching at 11:11am due to weight variation (GAR 39). A 10 day stand down period was imposed. Trainer Mr W. Stevens was fined the sum of $100. A pre-race sample was taken from Flash Frankie. Flash Frankie and Sandtrack Sniper were slow to begin. Satisfactory Trial Results - Royal Bruno trialled over the 400mtrs from box 1, weight 32.9kgs, the greyhound was placed 2nd in a field of 4. 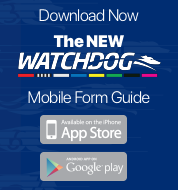 The time of the trial was 23.58, the greyhound was beaten by a margin of 2.75 lengths. Royal Bruno was Cleared. 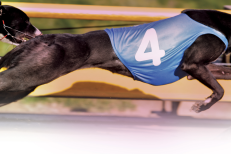 Satisfactory Trial – Returning from retirement - One Hot Minute trialled over the 400mtrs from box 2, weight 26.5kgs, the greyhound was placed 4th in a field of 4. The time of the trial was 23.58, the greyhound was beaten by a margin of 13.5 lengths. One Hot Minute was Not Cleared.